Nine titles will compete for the CBI Book of the Year Awards 2016, the most prestigious awards for children’s books in Ireland. The shortlist for the 26th CBI Book of the Year Awards was revealed today, Tuesday 8th March 2016 at the Duncairn Arts Centre, Belfast. Each of the nine titles will compete for the high calibre awards, which includes the innovative Children’s Choice Award, voted for by young readers across the country. The winners will be announced at a ceremony to be held on 23rd May at Dublin’s Smock Alley Theatre. Founded in 1990, The CBI Book of the Year Awards are the leading children’s book awards in Ireland. They are a celebration of excellence in children’s literature and illustration and are open to books for all ages written in English or Irish by authors and illustrators born or resident in Ireland and published between 1st January and 31st December each year. Previous winners include Oliver Jeffers for Once Upon an Alphabet, John Boyne for The Boy in the Striped Pyjamas; Sheena Wilkinson for Grounded, Marie-Louise Fitzpatrick for There and Hagwitch and Kate Thompson for The New Policeman, Annan Water and The Alchemist’s Apprentice. Children’s Books Ireland (CBI), which administers the awards, will again be working closely with reading groups from schools, libraries and bookshops across the island of Ireland. These young readers will choose the winner of the Children’s Choice Award. Reading groups nationwide are invited to sign up for the shadowing scheme to be in with a chance of receiving free copies of all 9 shortlisted titles via www.childrensbooksireland.ie. Five other awards will be made in May also – The Book of the Year Award, Honour Awards for Fiction and Illustration, the Eilís Dillon award for a first children’s book and the Judges’ Special Award. This year’s shortlist contains three titles from two former CBI Book of the Year Award winners, Oliver Jeffers whose Once Upon an Alphabet took the overall prize in 2015 and John Boyne who won with The Boy in the Striped Pyjamas in 2007. Five of the authors and illustrators shortlisted are new to the CBI Book of the Year Awards shortlist: Lauren O’Neill for Gulliver, Máire Zepf and Tarsila Krüse forNá Gabh ar Scoil and father-daughter team John and Fatti Burke for Irelandopedia. Shortlistees Louise O’Neill and Sarah Crossan are previous winners of the Éilis Dillon award for a first children’s book. There is only one thing that hurts worse than a headache or a bee sting, and that’s loneliness. Imaginary Fred is a friend to many... but only for a short while. When Fred's companions make real friends, he fades away and returns to the sky to await his next pal. 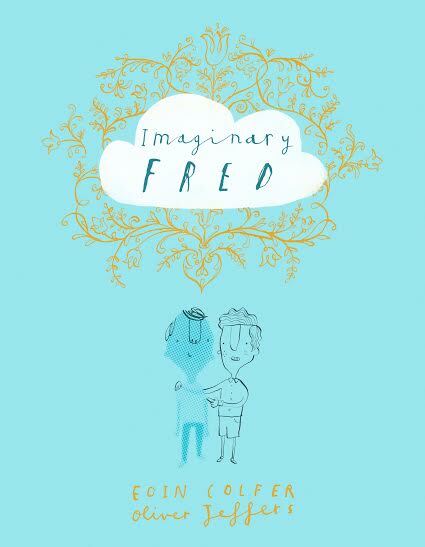 However, things change when Fred meets a boy named Sam, who promises they will be friends always. Things couldn’t be more perfect, this is until Sam gets a real friend and Fred begins to fear the worst: that he may soon be replaced. The hilarious sequel to the prize-winning, international bestseller The Day the Crayons Quit! Watch out - the crayons are back and they're crosser than ever! One day Duncan receives a set of postcards from his crayons who been lost, forgotten, broken - even melted in a clothes dryer and stuck to a pair of underpants! A hilarious text and joyful illustrations combine to show that crayons have feelings too in this laugh-out-loud sequel. When Pierrot becomes an orphan, he must leave his home in Paris for a new life with his aunt Beatrix, a servant in a wealthy Austrian household. But this is no ordinary time, for it is 1935 and the Second World War is fast approaching; and this is no ordinary house, for this is the Berghof,the home of Adolf Hitler. Pierrot is quickly taken under Hitler's wing and thrown into an increasingly dangerous new world: a world of terror, secrets, and betrayal from which he may never be able to escape. When Gulliver sets sail for the Tropics, the last thing he expects is to find himself stranded in a land of small people- so small, in fact, they are the size of his thumb! Despite their size, the islanders manage to take Gulliver hostage and in order to survive he must learn their ways. A second adventure sees Gulliver arrive in a land of terrifying Giants. The tables turn now that Gulliver himself is as tiny as a mouse. Once again he must fend for his life. Simply falling into bowl of cream could be the end of him! Gulliver is an abundantly illustrated retelling of a favourite classic. It’s the beginning of the summer in a small town in Ireland. Emma O’Donovan is eighteen years old, beautiful, happy, confident. One night, there’s a party. Everyone is there. All eyes are on Emma. The next morning, she wakes on the front porch of her house. She can’t remember what happened, she doesn’t know how she got there. She doesn’t know why she’s in pain. Tá sceitiminí ar Cóilín. Tá sé ag dul ar scoil inniu ach tá fadhb aige. Ní maith le Mamaí Cóilín dul ar a chéad lá ar scoil. Tá ar Cóilín rud a dhéanamh faoi sin. Little Cóilín is very excited about his first day in school.He’s up early and ready to go, but there’s just one problem –Mommy can’t bear the thought of being separated from him! Irelandopedia is an exciting and vibrant compendium of facts, figures and fascinating findings about our little Emerald Isle. From the most southerly point in Cork to the most northerly point in Donegal, follow a tour of the best sights and sounds Ireland has to offer. On the death of her master, Letta is suddenly promoted from apprentice to wordsmith, charged with collecting and archiving words in post-apocalyptic, neo-medieval Ark. When she uncovers a sinister plan to suppress language and rob the people of Ark of the power of speech, she realises that she has to save not only words, but the culture itself. A beautiful and gripping dystopian story of how words make us who we are.